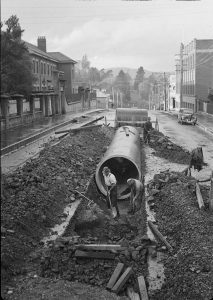 Tasmanians always rise to a challenge, and this was no exception. On 7 April 1942, the Mercury published a comprehensive scheme for Air Raid Shelters in Hobart. 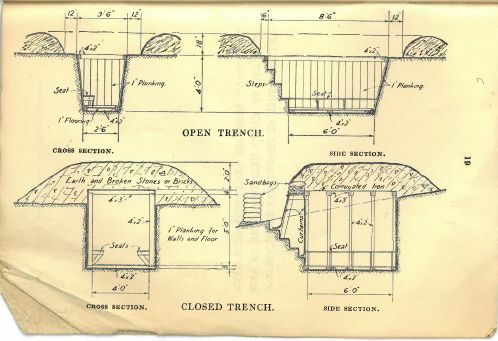 It included a list of trenches on public and private land, converted private buildings, and concrete pipe shelters. Assuming that 10% of the population was likely to be in the streets when an attack was launched, the planners had to accommodate 3000 people in Hobart at a moment’s notice. More than 14,000 volunteers (men and women with disabilities, in reserved occupations, the elderly, WWI veterans and others) volunteered to protect their friends and neighbors. They worked in aircraft spotting, coastal defense, coast watching and search light services. They set up emergency hospitals, gas decontamination squads, canteen services, and much more – including the air raid shelters. Others trained as guerillas. Some were paid, but many more worked for free. Every major town in Tasmania had its own branch of the Civil Defence Legion. 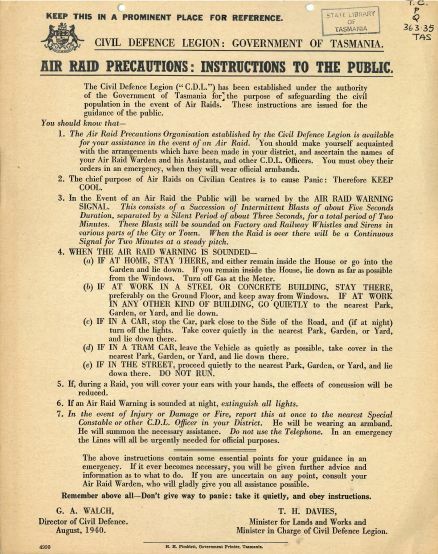 The Civil Defence Legion also circulated pamphlets that gave detailed instructions on what to do during a raid and what the different air raid sirens meant. They also gave helpful diagrams and plans for building backyard and trench shelters. Luckily, the shelters were never needed. Hobart escaped Japanese bombardment (although a reconnaissance plane, launched from a submarine in Great Oyster Bay, did fly over the harbour in March 1942 – an event that was never reported in the papers). Towards the end of the war, folks were already starting to reminisce about the shelters with good humour about neighbourhood camaraderie and family shenanigans, including this one about the author’s father’s construction of what was lovingly (?) referred to as ‘The Typhus Trap’ . 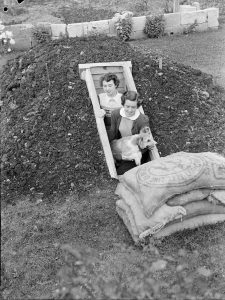 Do you have memories of air raid shelters? Did your parents, grandparents or great-grandparents help out with the Civil Defence? Share your stories in the comments, we’d love to hear them! Many thanks to the wonderful Lydia Whitehouse in the State Library and Archives Service, who came up with the idea for this blog and did so much of the initial research for it. There are also some really absorbing exhibits at the Imperial War Museums in the UK! Jim Haynes, On all fronts : Australia’s World War II. Michael McKernan, Australians at home : World War II. John Pimlott, The Viking atlas of World War II. Gerhard L. Weinberg, A world at arms : a global history of World War II.